So how did Stones Throw get started? The first single we released was one I did with Charizma. He passed away, and he was a big reason why I started the label. I chose a song called “My World Premier,” because I knew it would be about the premier of the label, and even then, I had ideas about the label being around for a long time. I wanted to start it with something that was really meaningful to me, personally. I’ll never forget, I was at a video shoot for KRS-One, and we had just gotten the test pressings for “My World Premier,” and I was trying to get them to play it. It was his video for “Step Into A World,” and his DJ, Kenny Parker, was spinning. After the video shoot, I asked if he would play my single. Looking back, it was bold and weird that I would do that. He didn’t want to commit to saying yes to some guy who he has no idea what his stuff sounds like. He was like, “Nah sorry, I can’t do that.” I said, “Well listen to it on the headphones and if you like it, then play it on the speakers.” He put on the headphones, and he said, “This isn’t bad, man, alright.” So then he played it on the speakers, and KRS turned around and asked, “What is this?” It was like validation of all the work that I had done with Charizma, because he and I were both huge KRS-One fans. To have him asking about it, and then endorsing it, and the next day he introduced me to Red Alert. Growing up in San Jose, not knowing if I’d ever even meet people like that, those were the guys I’d always looked up to, and that was the beginning of Stones Throw. And how did you end up in LA? When I was younger, my best friend’s parents had a beach house in Newport Beach and I would come down for the summer with them. I associated so many great memories with that. That was always my image of LA. When I was old enough to move out of San Jose, I went to school in Long Beach for one year. Then I got homesick and moved back to San Jose, but long story short, I moved to SF, I started Stones Throw, I lived there for a few years, and then whenever I DJ’d in LA, I loved it out here. I remember when Fat Beats opened out here and there was a hip-hop community. It seemed, at the time, more aligned with what I was doing than the Bay Area. 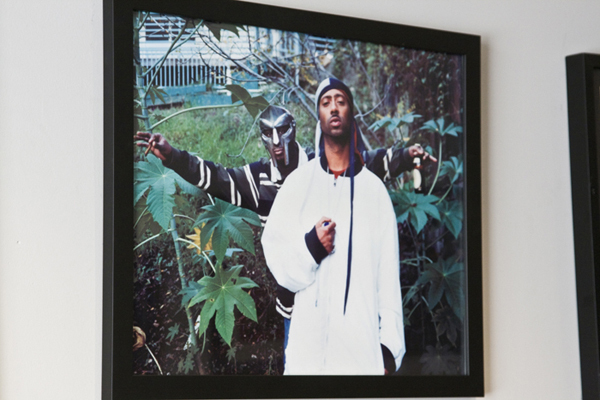 And Madlib lived down here too, and that was a major reason why I moved to LA. He’s kind of really super introverted, to the point where it’s hard to communicate with him over the phone, so when I moved down here, that situation totally got better for me. And then I realized how much like LA, and the music scene, and the club scene here. There’s a lot of similarities to San Jose, like the climate, and like how you have to have a car and everything’s spread out. So it was easy for me to adapt, it was just like a bigger San Jose to me. How did your experience being signed to Hollywood BASIC [a subsidiary of Disney with a short-lived and unsuccessful hip-hop division, which was once home to Organized Konfusion and DJ Shadow] with Charizma inform how you run Stones Throw? I always look at the situation from another perspective. I’m able to put myself in the artist’s shoes as well, from being a former artist myself. I mean I still am an artist, just not as prolific, as far as recording my own music, as I used to be. Those experiences of getting my album shelved, and not getting an answer on what was going on, and the frustrations that I dealt with, I brought that into the record label that I started. Speaking of being a DJ, and recording, being a producer, and a label head, are you doing what you want to do? How do you balance all those roles? The DJing thing is hard because it always depends on the promoter being able to get the word out to people who care about what I do. Each city only has a small community of people who want to hear something beyond the top 40. Some of my gigs, I’m like, “Man, why am I still doing this?” And then there are some like, “This is awesome, I’m so glad I’m still doing this.” So it’s really a case-by-case basis. I have slowed down a lot on the DJing to pick up on the creative side of Stones Throw, so it is a bit of a constant balance. Presumably you could decide you wanted to stop doing everything and just DJ if you wanted to? Technically I could, but I have all these employees to account to. They would find other jobs if Stones Throw went under, but they’re all as passionate about the movement as I am. The DJing is important for me because it allows me to be face to face with the people who are actually buying our music and are fans of what we’re doing. 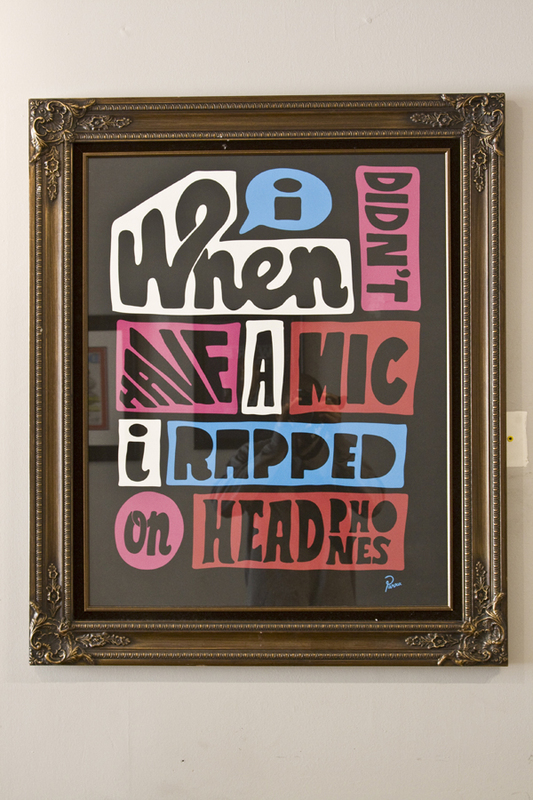 And I meet a lot of artists that way as well, and I get to see what other DJs, and other emcees and bands are doing. So it’s really important that I’m out there, on the frontline, so to speak. Where did you come up with the idea of mixing videos? I was touring with Madlib, and J.Dilla, and MF Doom, and I’ll go up there, and I’m not really a turntablist and I don’t like doing tricks or anything like that. I would just be spinning records and mixing, but everybody would be facing me and staring at me and not really dancing or partying so much. So I just felt like if they’re all gonna be staring at me, I might as well have something on a screen for them to look at. The technology was there to do it, and I’d always wanted to do it. As a kid, in the ‘80s, there was this thing called Videopolis, which was at Disneyland, and it was like a nightclub for all ages. They would have huge videos on the screen, and the music wasn’t mixed, but you could hear the song over loudspeakers and watch the video. I always had that in the back of my mind, that it’d be cool to do something like that. How do you go about finding new artists? Some of them are really well established, like Madlib and Dilla, and some of them are more out of left field like Mayer Hawthorne. Each situation has its own story, how I met people. I feel like a lot of labels nowadays only pick up someone after the buzz is really big, and I never wanted that to be my focus. It’s really just about me liking their music, and seeing potential or promise in it. As long as an artist realizes their job, as far as how far they can go in terms of promotion. If someone just wants to put out a record and not do anything for it, that’s fine too, if I really like the record, and as long as they don’t have unrealistic expectations on how much it’s gonna sell. So if you look through our catalog, there’s a lot of successes and a lot of misses, in terms of when you play the numbers-game and SoundScan and all that. Some of my favorite records are some of the ones that, commercially, did the poorest. 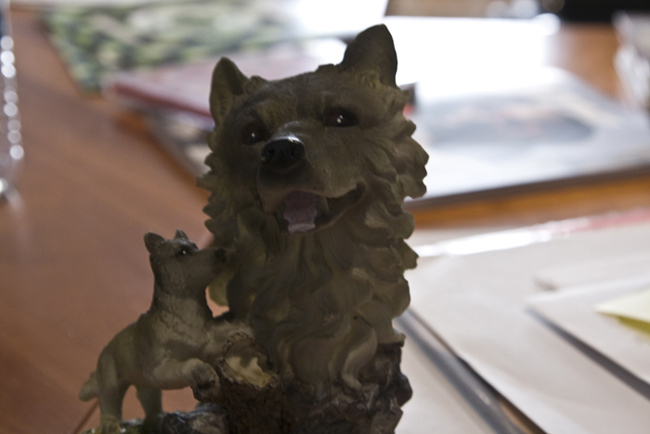 But I think those ones make our catalog just as strong. I know it’s funny that you mention Jeff, he’s our art director, and he created the website and everything. He comes from a punk rock background, and he was working at a library for seven years when I first met him, and he lived in an abandoned Laundromat. He came from no money, and money’s still not his motivator, and I see that in a lot of the people that I work with, you know. He just really enjoys what he does, a lot, and I think that’s why everybody has so much respect for him. You come in here early, and Jeff’s the first one here, and he’s always the last one to leave. It’s because he takes his job so seriously. I think sometimes people have the false assumption that we have more money than we really do, because a lot of the stuff that he designs looks pretty expensive. Stones Throw seems very committed to vinyl. Is that getting harder and harder in this day and age when digital seems to be the new medium of choice for a lot of people? Our vinyl sales haven’t really decreased; it’s more the CD sales. It used to be that CDs were the bulk of our business. It was 85% CDs and 10% vinyl, or something like that. Now the CD sales are gone, and the digital sales and the iTunes sales are helping, but it’s not as much as what the CDs used to sell. Basically the vinyl’s been pretty constant. The lack of CD sales is what’s killing the music industry right now. Do you think digital sales will be able to replace CD sales in the next few years? It’s hard to say. The younger generation is used to getting everything for free, and they can’t wrap their head around the concept that it costs money to make the music. Basically the mindset has changed to where everyone’s pretty much accepted that the artists make their money from the shows. That sort of leaves the label out in the cold! The label, and the artist a little bit, yeah. We find ways to stay afloat, but you can’t spend all this money on studio time and mastering, the way it used to be, or spend money on these big videos and stuff. It’s made everybody at labels rethink what’s important. We still do videos for our artists to show that there’s a presence, but I don’t see the need to spend $50k. We never spent $50k anyway, but $10k would be a high-end video for us, and we’ve done $500 videos that are just as interesting, I think. In the sense that you started Stones Throw in part to put out the music you made with Charizma, would you recommend starting a label to someone starting out today? It depends what your goal is. If your goal is to get your own music out, then maybe not. But for me, I started my label also because I knew so many talented people that I believed in, and nobody knew about. People had started to know about me, so I used that to everyone’s advantage. You’ve said that convincing a distributor to believe in you was crucial to launching Stones Throw. Is distribution still key? Not at all, you see people at Coachella who don’t even have a record out. It’s really so much in the artist’s hands nowadays. That’s the good thing for artists œ you don’t need money to start it. For me, I didn’t start my label with money either, I basically got a distributor to believe in me, but now you don’t even need that really. I guess getting iTunes to believe in you, and the way to do that would be to have a big buzz, but just the way these guys are using the blogs, it’s pretty incredible. Look at Jay Electronica. I’m not sure if he’s even released anything, but everybody’s just waiting for his next move, and it kind of happened with Drake as well. 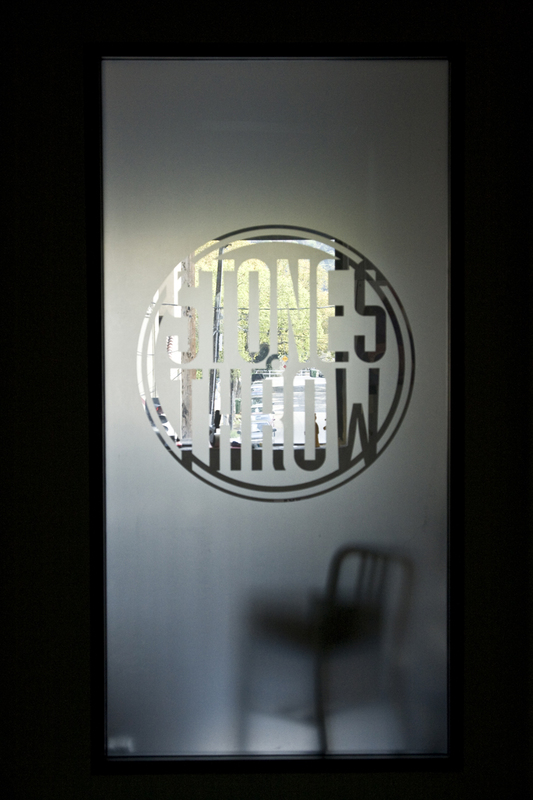 You’ve clearly had the chance to work alongside many amazingly talented artists at Stones Throw. Are there other artists out there who you wish you could work with? I get asked that a lot. The guys I work with already are my favorites. I remember one time I said in an interview that I would want to work with Steve Arrington, who was the lead singer of this group Slave, which I was a big fan of as a kid. Dam Funk reached out to him, and they’re doing an album for Stones Throw right now. When they started working on the album, I didn’t even really think about it, but then I read that I’d said that, and I was like, damn, out of anybody, I said that guy, and here we are. It’s like that thing they say about The Secret, but it was really Dam who did that. I didn’t even contact Steve. Steve’s been in the Church for many, many years and I wanted to respect that, and assumed that he wouldn’t be interested in doing secular music. But Dam was persistent, and here we are today. What’s in heavy rotation for you these days? 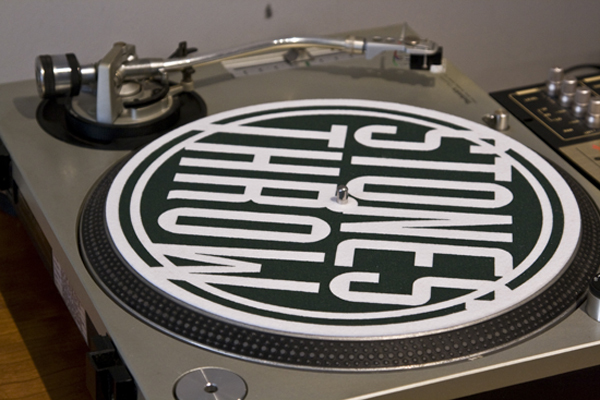 Do you tend to listen to music from Stones Throw a lot? Yeah, I’m always coordinating albums for artists that aren’t out yet, so most of my time’s spent listening to unfinished albums by people, and helping turn them into albums. And then I’m always buying a lot of older music on eBay or in record stores. I’m still constantly digging, you know? 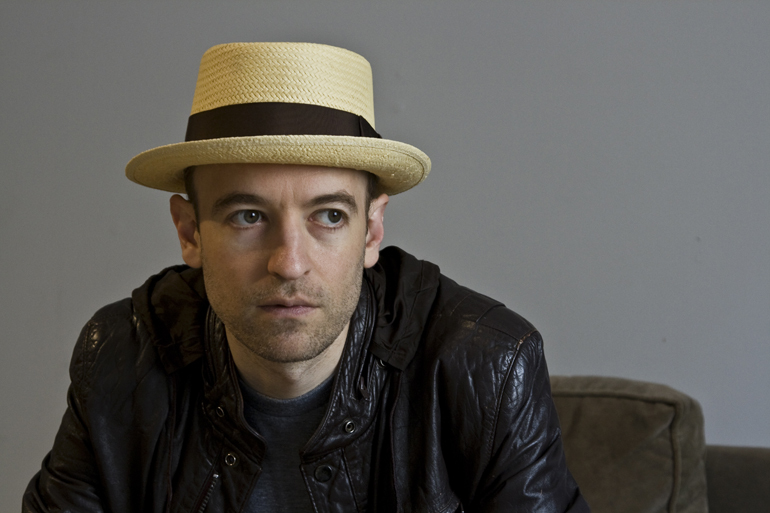 You can find out more about Peanut Butter Wolf and Stones Throw on one of the links below.